Portugal is trending right now. The past few years brought some international tourism awards to our small but fierce wine country. Portugal is a vibrant destination. A wine country and secure destination by excellence. From the lively European capital feel in Lisbon and Porto to the diverse natural landscapes of Douro and Alentejo (two of the major Portuguese wine regions), Portugal has been Europe’s best kept secret. A hidden-gem, a true gift for wine lovers, best experienced in small to private tours. So the frequent question amongst wine lovers is: Where are the best wine tours? Where to go for the best wine tasting in Europe? By now, I believe you are aware where I am going to take you. 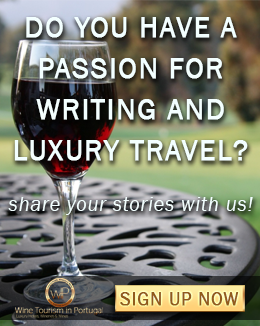 I am taking you on a journey to discover the best wine tours, the best wine tastings, the best food and wine vacations you could ever ask for. 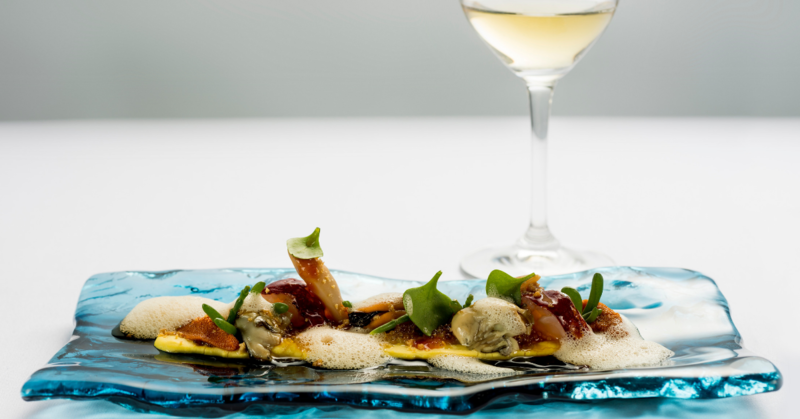 Yes, wine tourism in Portugal is totally in vogue! In this next articles, you will find out why and what the best wine tours and wine tasting experiences are with valuable tips. This is our wine guide to Douro, Alentejo, Vinho Verde and Lisbon regions. Lets start in Douro. To start from scratch, Portugal has a magnificent coastline, medieval castles everywhere, friendly people and a bold and diverse wine industry that goes back for centuries. Even before the country borders where defined people in this territory where making this a wine country. Portugal has been in the shadow of its more popular touristic neighbors. Spain, France and Italy have been for long wine countries by excellence but over the past few years, Portugal has been climbing its way to the top wine destinations and the awarded wines are countless, and the tourism awards are proving those of you who already visited us, right. So listen to your friends when they cheerfully talk about Portugal and join us. Pack lightly and get your glass ready, as we guide you through the best wine tours in Portugal and its wine regions. 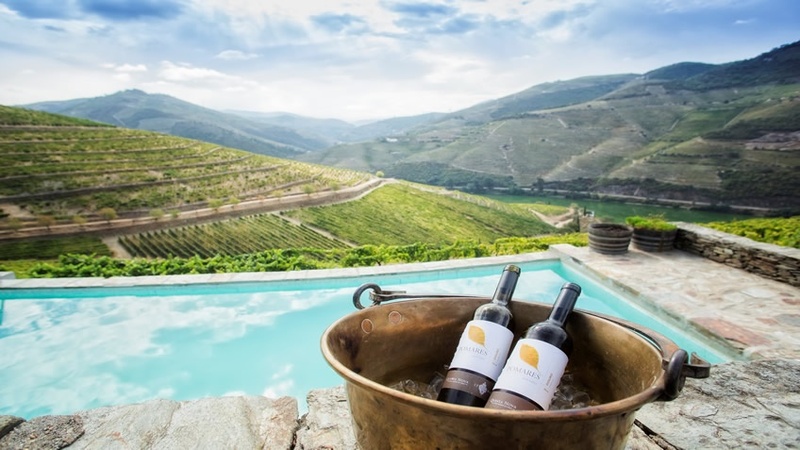 The Douro region is located in the north of Portugal, the Douro region recognized by UNESCO as World Heritage listed territory is said to be the oldest wine region in the world its origins dating back to 1756. The Douro region extends from Porto city to the eastern border of Portugal. 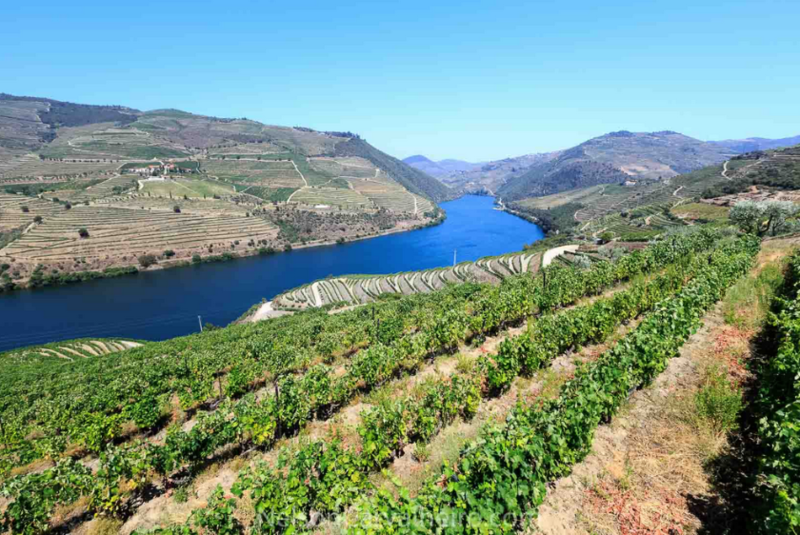 The Douro River cross the whole region like a snake and carves its path through the rocky Douro valley. Inviting you for a private journey through this stunning natural landscape. In the hillsides, manmade slopes covered by vineyards and the temperature shifts as the boat slowly follows the curvy land. Many of the most prestigious wineries are located in the Douro Valley and so are some of the best Portuguese wines. Each winery is unique and provides a different visit, featuring tasting rooms, artisanal cheese or chocolate pairings, on-site sommeliers and much more. 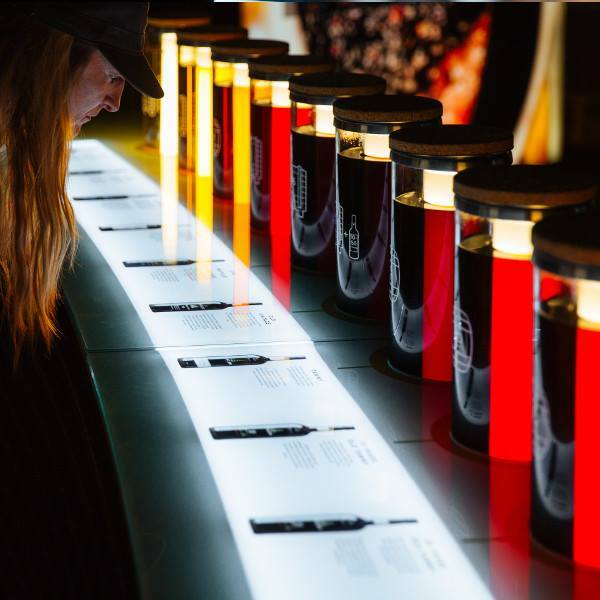 To get more knowledge read our 10 winery tours you can't miss. 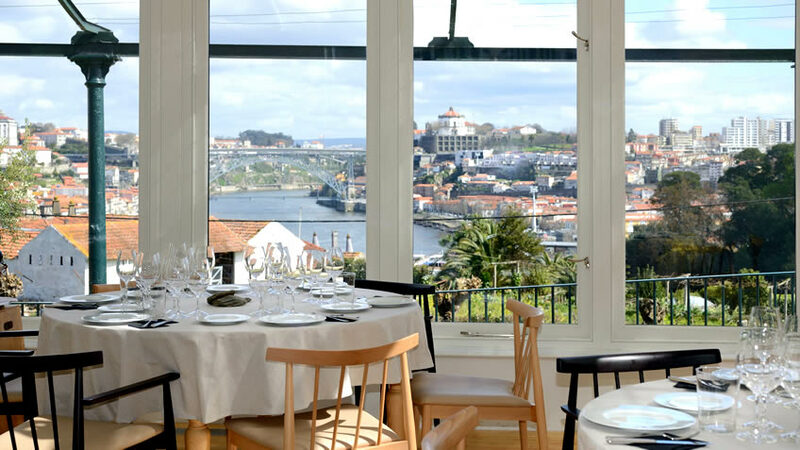 Graham’s lodge promises astonishing views of Porto’s historic city center and the iconic two-tier bridge that connects the cities of Oporto and Gaia. What about a sunset in here? Lovely. Here you will find the knowledge of three centuries of port-making and internationally awarded wine. There are several Port wine tasting experiences available, make sure you book it in advence. Also known as Royal Oporto Wine Company, Real Companhia Velha is the oldest port wine producing company of Portugal. Go on a guided tour through the ageing warehouse and vintage museum, followed by Port wine tasting. With over 400 centuries of history, Croft is renowned for their port-making innovation. Be sure to sample the Croft PINK launched in 2008 – the world’s first pink port wine. Sample two great icons of Portuguese culture with a guided tour followed by wine tasting and a Fado concert, make sure to book it in advance to avoid any delays. 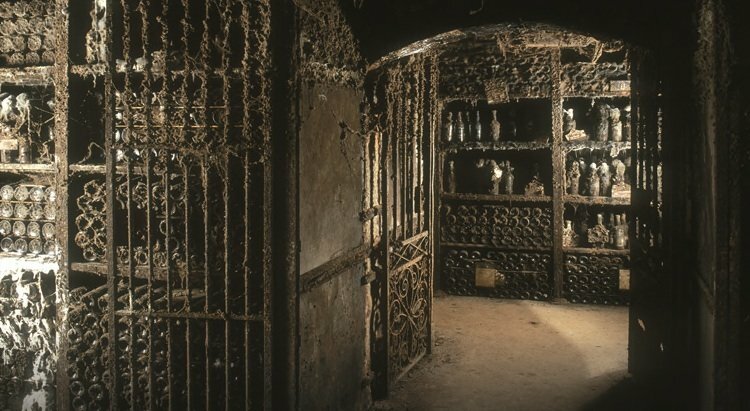 Located on Douro Valley, its winery dates back to 1764, can you imagine how much history and mysteries are hidden in this place? The perfect mix of medieval feel and modern comforts way of life. Quinta nova will welcome you, an may you arrive in style: By car, train or boat here you will find the true Portuguese way of life. Spend a day in full contact with the vineyard and the wine. Book your wine tour and a wine tasting, savor a lunch at Conceitus Winery Restaurant with a wine pairing and make sure you have a free afternoon to relax or walk along the wine trail. How to open a wine bottle? With a corkscrew. How to open old wine bottle? Well, if this is a vintage bottle you may try Port tongs. The opening of Vintage Port bottles with a heated tong is a traditional practice and at Quinta Nova you will be part of the ceremonial. Other great experience for wine lovers is Winemaker for a day. Try something unique; monitor the winemaking process to create your own wine. The activity begins with the blending, followed by bottling, corking and labeling of your creation. Sure, you will home the best souvenir, your very own bottle of wine with you. There is a shop where they can buy Quinta Nova wines, gourmet products and other local souvenirs. Because we know, you will miss it. Douro is waiting for your visit! Now it's time to stop thinking about it and to finally the put “Happy feeling” into your new year. Book now your dream vacations. Yes! We recommend you book it in advance while the best places are still with some availability. So you can enjoy the most of your 2019 vacations! Book your cruise in the Douro River and have an unforgettable day in Douro.